Emojis, small digital image or icon used to express an idea, emotion, etc., have become increasing popular about 20 years after they were originally put on Japanese mobile phones. According to Unicode 10.0, there are 69 emojis in Emoji 5.0 that are expected to be support by vendors. In total, there are 2,666 emojis in the Unicode Standard as of June 2017, according to FAQ page on Emojipedia.org. Apple now wants to add 13 new emojis to the list. The 13 new emojis suggested by Apple include a guide dog, a hearing aid, a wheelchair user and people using canes with skin tones options. “Adding emoji emblematic to users’ life experiences helps foster a diverse culture that is inclusive of disability. Emoji are a universal language and a powerful tool for communication, as well as a form of self-expression, and can be used not only to represent one’s own personal experience, but also to show support for a loved one. This new set of emoji that we are proposing aims to provide a wider array of options to represent basic categories for people with disabilities. 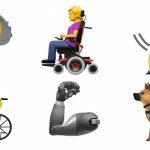 This is not meant to be a comprehensive list of all possible depictions of disabilities, but to provide an initial starting point for greater representation for diversity within the emoji universe,” Apple said. 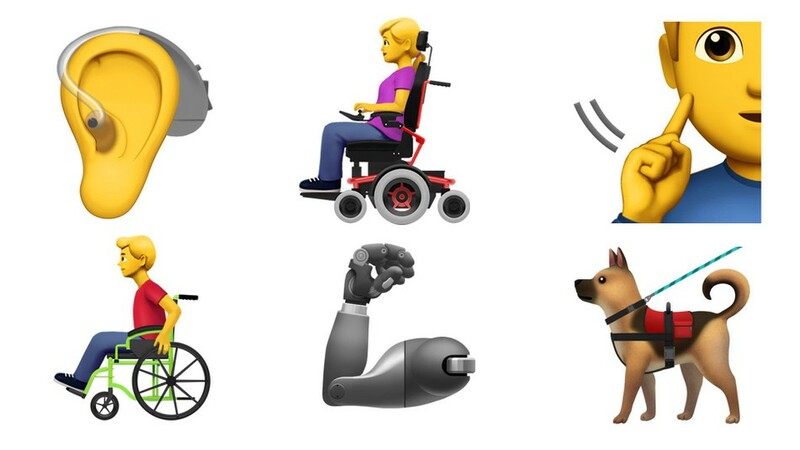 The emojis were developed in collaboration with international community organizations including the American Council of the Blind, the Cerebral Palsy Foundation and the National Association of the Deaf, said Apple. According Emojipedia, if Apple’s submission is approved by Unicode, these characters would be shortlisted for potential inclusion in Emoji 12.0 which comes out in the first half of 2019. Apple went on to provide the selection criteria for the 13 selected emojis. Among the factors are: compatibility, expected use, image distinctiveness, completeness, frequently requested and others.